In the northern U.S., March is often miserable. Muddy, mucky, mildewy. It is the Monday morning of months. Even the mud-caked mutts I meet, mooching along the murky, meandering Milwaukee River, look a little morose. People are tired of wearing boots, gloves, all these layers of clothing. Not much spring in our step, as we march along – fleeced, booted, scarved – outfitted in the Full Milwookie. And scratchy hats. As I’m sure you know, the expressions “shock of hair” and “Mad as March hair” are based on the deranged, staticky mops we get in northern climates, after wearing knitted wool hats, nonstop, for five months. It’s a month named for Mars, who was kind of an idiot, even by the low standards of Roman gods. The god of war, and his quagmire month, when they kicked off the Vietnam and Iraq wars. I noticed the Mars Bar is being sold in the U.S. again – why don’t we name the month after that, instead – it’s gooey, brown, and full of nuts – perfect for the season. Winter seems to be eating up more than its share of the year, and keeps dropping in, uninvited, for another bite. During the brief thaws, soggy gloves and decaying mittens emerge from the gritty snowbanks, looking like pathetic squirrel carcasses. Sometimes they actually are squirrel carcasses. Shivering and pale, we curse as we wade through icy puddles of semi-congealed brine. Dehydrated from freezer burn, feeling a bit testy, even unbalanced some days. Everything we see and hear, heck the whole darn planet, feels tilted. I’m inclined to believe, everyone could use a holiday in March. How about we hatch a new one – – Spring Equinox Day. We’d focus on balance in our lives, personal and public. On a day when light and dark are held in balance. A day to spend with friends and family, and not at work. Spring Equinox Day wouldn’t improve the weather, but it could take our minds off it, restore our equilibrium a bit. A celebration of normalcy, stability, and reasonableness. Equinox Day would have no sporting events, no car races, no sales, no politicians. No windbags are allowed to go politicking – – gassy blimps would be allowed, but only for parades, and not making speeches. Schoolkids would earn medals for the best essays and speeches on these qualities. The adults can join them, feeling well-rested after sleeping in, and from our naps during the speeches, and we’ll all turn out for a day of service to our communities. We have, in theory, a Women’s Equality Day (August 26) marking adoption of the 19th Amendment, and Equal Pay Day, which changes each year, based on the wage gap between men and women. (Germany also has that observance, since 1988, but fixes it on March 18th.) International Women’s Day also came and went, on the 8th, without too much press. A couple of states have transformed Columbus Day into Native Americans Day. Juneteenth/Freedom Day seems to be fading away. I haven’t thought all this out yet, so Equinox Day is still pretty vague and Pollyanna-ish, but it actually seems like a decent idea. It seems politically neutral, even in the seven states which don’t believe the Earth revolves around the sun. And it seems fair and reasonable to ask people for suggestions – – post as many as you like, you can stuff the ballot box like a Chicago alderman. They’ll be reviewed in a dispassionate, reasonable, even-handed manner… and then I’ll just chuck out the ones I don’t like. No! just kidding, I’ll be glad to hear what you think. I broke my last eggcup, and had to hire these guys. They’re in the union, but luckily, work for scale. So do the two photographs symbolize the Eggquinox? I’m all for your proposed holiday, especially if it could force politicians and their surrogates into a day of silence. Thanks, Steve. 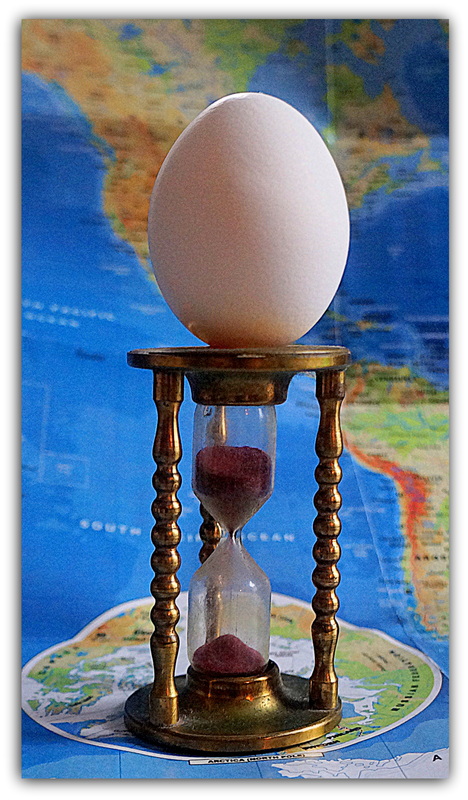 Yeah, every equinox I think about that egg balancing legend, and sometimes I try to do it, just for the heck of it. 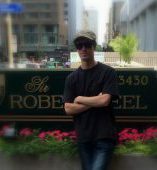 A great idea worth pursuing, Robert! Equinox Day sounds good to me. Thank you, Peter. Counting your comment, it’s already gained international notice! A great idea and I am 100% in favor of it. However, we’re missing an opportunity: there could be two equinox days — one in March and one in September. That’s right! Definitely would be worth doing twice a year. And two days when politicians would shut their yaps. By the way, are those your photos? Yes, I know it’s nonsense, but I like to try balancing eggs anyway, it’s surprising how often they balance pretty easily. Well, I cheated for the photos. I used a tiny piece of chewing gum. 🙂 Truth in eggvertising. Thought I’d mention that it’s “Mad as a March hare” as in the hare breeding season is in March, and the male hares madly dash about chasing off rivals, in a frantic frenzy to breed like rabbits. I like the sound of that, Robert. From now on we have more daylight than darkness, and that has to be a good thing! Thanks Mick, definitely looking forward to more daylight! Yeah, everybody looks forward to spring. Leaves, flowers, warmer temps. The beginning of spring is worth acknowledging and celebrating. I wasn’t familiar with the expression: Mad as March hair. Also a Danish climate generates Mad as March hair. Eggquinox! LOL. When I was in college my roommate and I balanced our egg on the window sill every year. I reflect back on that time when we were so innocent, with no clue of what was in store. I’m very glad you’ve found some workers who will work to scale. Thanks Melissa. They’ll work for peanuts, too. I remember, from living in northern New York, that feeling that came along this time of year, the one where you got a little dizzy and a good bit irritable because it felt like winter would never end. Now I only feel that way for about twenty minutes, in February. It’s a nice change. I vote yes to your holiday, especially the twice a year version, and suggest that whenever it falls on Wordless Wednesday, nobody is permitted to talk out loud about anything. Ahhh … I’m already looking forward to it…..
A true “wordless Wednesday” sounds very pleasant and restful, without having to join a monastic order, or become a lighthouse keeper. Quite the commentary when simply suggesting that folks act balanced, rational, and even-keeled seems so vastly out of phase with reality. [sigh.] I’m not sure people even know how anymore. Maybe your holiday would encourage folks to try it. Balancing acts! That’s what we need to promote this. Not the budget, that’s a lost cause, but actual circus performers. Yeah, some members of the ongoing circus in Washington are probably a lost cause, too, in terms of rational discussion. But the volume of discussion over “civility,” even if it doesn’t seem to achieve much some days, indicates a lot of folks are interested in a return to normalcy. That picture was take #38, I think. Their ladders kept falling down, and the little guys would fall over too, I guess on break. It really would be a great time & concept for a holiday, wouldn’t it? i like the idea of Equinox Day. Should be celebrated with plenty of eggs… By the way, I thought you small tabletops were great creations. Beautifully executed and captured. I love this idea! Oh, the table decorations and food/beverage items I could make for such a holiday! I’m so glad you like the idea! It’s good to plan the festivities ahead of time, in case the holiday actually becomes real! I’ve already been thinking, if a lot of eggs are used for the food, symbolism, and decorations, we can just re-purpose the leftover ones for Easter. I guess Eggs Benedict is already taken, for one of the Popes. Maybe a well-balanced rosé to drink, that seems appropriate. I’d like to involve nachos, but can’t think of any symbolism, I’m just hungry for nachos. So never mind about the nachos, you probably have tons better ideas. Thank you for writing Cecilia! The nachos are actually perfect. They add “balance” to the equinox theme! I am so sorry about the egg cup . Egg cups are not so easy to find and so necessary for eating soft boiled eggs! As for the Equinox holiday I think it is a great idea. Are there rights of spring celebrated in other parts of the world centered around the equinox. Stonehenge has something does it not?Maybe we need to look at some of the old Celtic beliefs and practices. and find things to do on the Equinox holiday. Hi Anne – That’s a great suggestion, I’ll have to read up on the Celts. I seem to remember something about painting yourself blue, and running around without clothing, but in Ontario or Wisconsin, I think we’d turn blue if we tried that in March. There seems to be more fall harvest celebrations than spring ones, for some reason, but I believe the Buddhists and Zoroastrians celebrate the spring, and the Romans used to. HaHa…I like that egg idea. I have read that there were big gatherings of people from all over the island at Stonehenge. Did not know they ate a lot of eggs however. The more holidays the better, in my opinion. Since we can’t seem to do it any other way, perhaps an Equinox Day could help to re-establish some equilibrium in the body politic. Even if it doesn’t, just think of the foods that we could enjoy: egg creams, egg custard, egg nog… It would be eggcellent! Egg rolls. Huevos rancheros. Avgolemono. Something for everyone! I thought “avgolemono” was a typo, just looked it up – – do you eat it as a sauce, or as a soup? I like lemon flavor, this sounds like something I need to try! I think it’s wonderful, but I’m a lemon lover. I’ve had it as a sauce on seafood — good with scallops — and as a soup. I think you’d like it. I love lemon flavor, definitely going to try it. 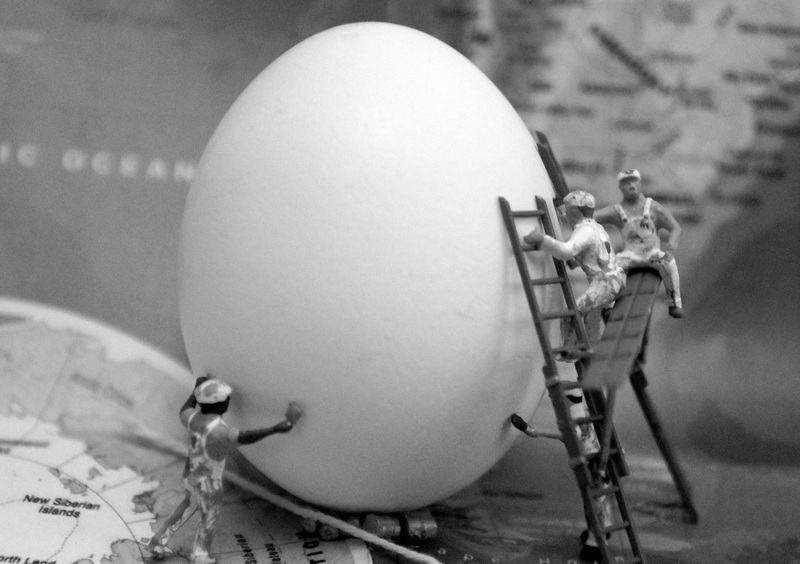 That’s a cracking idea (no pun intended with the egg thing—well maybe just a little one). Love the idea of March being the “Monday morning of months”—sums it up perfectly. Thanks, George, and thanks for “cracking,” I miss hearing British expressions and slang. A perfectly lucid and even-keeled idea, Robert. 🙂 I am all for a holiday that celebrates reasonableness…we need more of that. I laughed at that last photo..very fun. I think you’re on to something here, Robert. The day would certainly represent better days to come, even if some not better days remain to come. And the quiet of politicians and car sales ads would be a marvelous achievement. Speaking of quagmires, my yard, even after a week of little rain and/or snow still is an ankle deep mud trap which has caused more than a few skids but no bottoming out to date. We do get wiser with age. Thanks, Steve, we’re finally above freezing, and this week some April showers arrive, so we’ll be pretty muddy, too. Same here except the nights keep dropping below 32° which helps with Bentley going out in the morning. He looks like a great companion. Hi Robert. Yesterday in the early afternoon as I listened to the radio broadcast of the Mariners/White Sox game and the announcer’s vivid description of the cold, bracing wind off Lake Michigan (into right field), my mind traveled north out of Chicago along the lakeshore into Wisconsin up to Milwaukee. So it was that I wondered how you were doing especially now that March is past (along with Equinox Day) and April flowers might be arriving soon. Maybe. Enjoyed this essay and the miniatures, too. Do you keep those on the table or desk where you tap your pencil or staple your notes or look out the window to see if more snow is melted? Hi Jason – Glad to hear from you, around here, it’s getting, well, maybe not like spring, but kinda spring-like if you’re a die hard optimist. Today there was actually some sort of industrial-smelling smog going on, but no snow. The men are HO size, I think, and last time I was home, I liberated them from my sister’s vast stash of weird stuff. Every once in a while, since she was a kid, she decides to make a little diorama. So they’re relieved of their egg-sitting duties, packed up, and I’ll sneak them back into her Jelly Cupboard of Junk next time I visit.